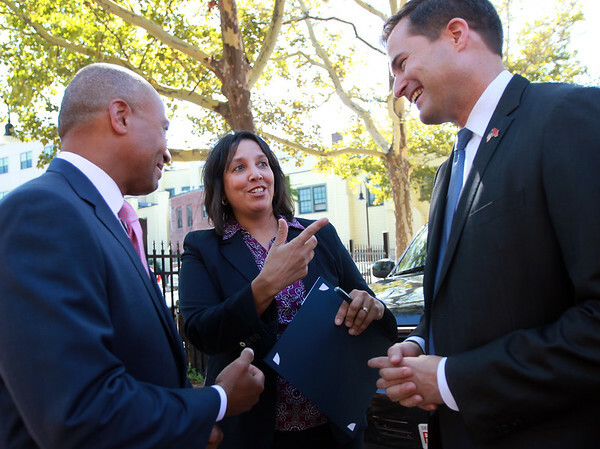 Salem Mayor Kim Driscoll, center, jokes with Governor Deval Patrick, left, and Democratic congressional nominee Seth Moulton, right, on Friday afternoon in Derby Square. DAVID LE/Staff photo. 9/12/14.